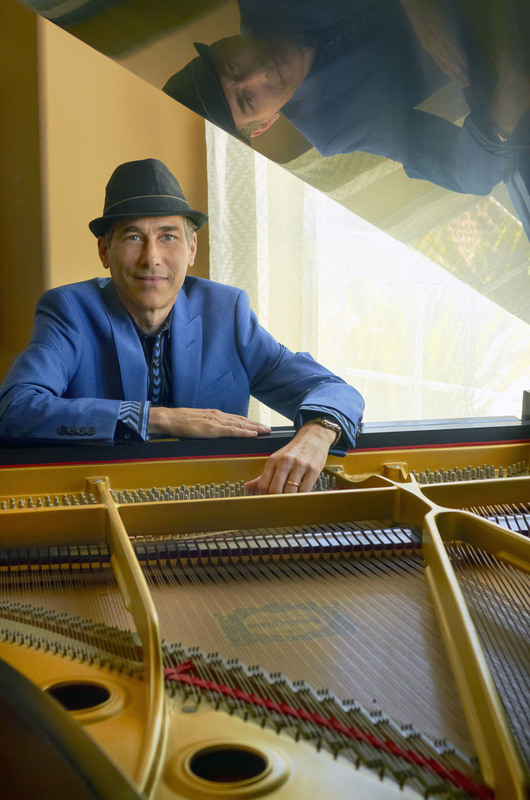 Gregg Karukas’ music is the epitome of class and elegance…he’s got such a nuanced touch on the piano, and his compositions are always so satisfying. Add in a great ability to communicate live, and you have an all-around great talent. 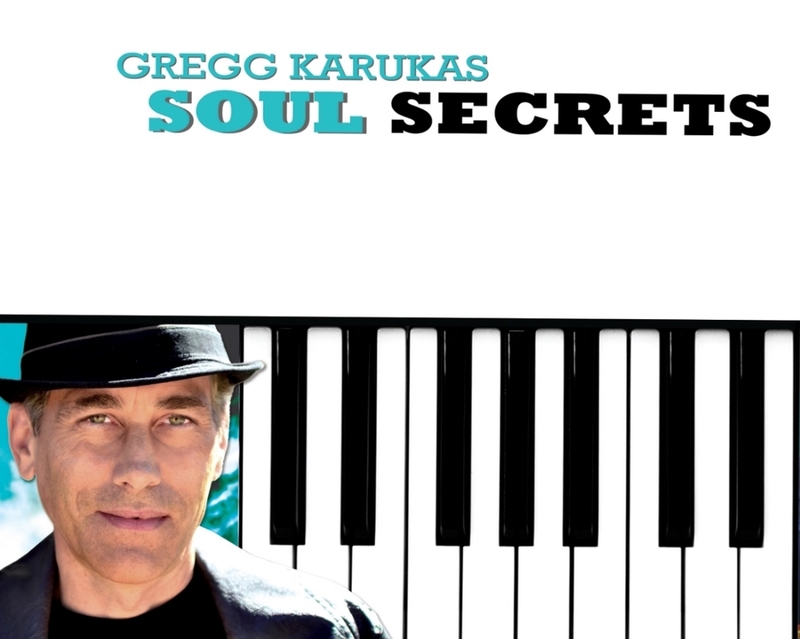 Grammy winning keyboardist/composer Gregg Karukas is enjoying the rare accomplishment of 2 consecutive #1 hit songs and THREE TOP 5 chart hits from his stellar 2014 CD release "Soul Secrets". His 2nd single, "Rio Drive" was named the #1 most played song of 2015 on Alan Kepler's Smooth Jazz Top 20! (#2 on Billboard's 2015 airplay chart). It follows "Elegant Nights" which hit the top of the charts in January of 2015. "Only You", the third single dedicated to Gregg's wife Yvonne, hit #2 on Smooth Jazz Top 20 in July 2016. Most recently, Gregg has taken his ever present smile and energetic, show around the world to Java Jazz in Jakarta, Manila, Jazztrax Catalina Jazz Festival and The Mallorca (Spain) Smooth jazz festival. One of urban contemporary jazz's most versatile and acclaimed artists for over 25 years, Gregg won the Grammy for producing, composing, arranging, playing all keyboards and engineering Echoes of Love, which won Best New Age Album at the 55th Grammy Awards in February 2013. He has had a diverse career in music with a long list of credits in all media; Gregg arranged and played all keyboards on the theme songs to Disney's Ducktales and Chip and Dale's Rescue Rangers and is a veteran of lots of TV/Film music sessions, (Cheers, Stand and Deliver, Life Goes On, Mr. Wrong). As a solo artist, Gregg's 11 all-original CDs have garnered consistently solid reviews for his signature piano touch, pristine production, and melodies that are both soulful and sophisticated. Always in demand as a musical director and keyboardist, Gregg has received multiple Best Keyboardist nominations at the Oasis and National Smooth Jazz Awards. His best-known songs, "Elegant Nights (#1), "Rio Drive"(#1), "Girl in the Red Dress" (#4) "Nightshift" (#1), and Jessy J. 's #1 hit "Tropical Rain" showcase Gregg's funky, melodic compositional style familiar to his fans. "People say my music sounds romantic and uplifting - and I look so happy on stage," he says. "It's totally true. For me, the best music comes out of an inner feeling of either intense happiness or sadness. I always try to stay faithful to that original inspiration, because that is where the true 'sound of emotion' comes from." Gregg's contagious smile and positive attitude shows in his concerts, as he has emerged over the years as one of the genre's most dynamic and inspiring live performers since he first took the stage in 1987 with the original Rippingtons and toured through the years with superstars Boney James, Sergio Mendes, and Larry Carlton. Grammy winning keyboardist/composer and Gregg Karukas is enjoying the rare accomplishment of 2 consecutive #1 hit songs from his stellar CD release "Soul Secrets". His current single, "Rio Drive" sits at top spot on the The Billboard and Smooth Jazz Top 20 charts which monitor the national airplay on radio and internet stations. It follows "Elegant Nights" which hit the top of the charts in January of this year. Gregg will bring his melodic grooves to the Catalina Jazztrax Festival for his 4th headline show on October 18 at noon. Organic, funky, and melodic is how Gregg describes his latest, long awaited 12th solo project, Soul Secrets. Gregg's elegant grand piano and tasteful grooves are everywhere, and this time around he digs into his roots and also features the classic Fender Rhodes, Wurlie, Minimoog and Hammond B3 keyboards he grew up. With guest appearances by friends Rick Braun, Euge Groove, Ricardo Silveira, Eric Valentine, Nate Phillips, Michael O'Neill, James Harrah, Adam Hawley, violinist Charlie Bisharat, Luis Conte, Shelby Flint, Ron Boustead and 22 year old rising sax star Vincent Ingala, Soul Secrets reveals Karukas as an artist who has refined his sound to be instantly recognizable while constantly exploring a wide range of styles and grooves. A prolific, genre-crossing veteran of Smooth Jazz, Brazilian, and R&B/Pop, Gregg won the Grammy in 2013 for producing, composing, playing all keyboards, arranging....and engineering the Echoes of Love CD, a collaboration with Omar Akram, which won Best New Age Album. Since his 2009 release "GK", Gregg has also been busy touring with guitarist Peter White and serving as musical director for the annual Dave Koz and Friends at Sea Smooth Jazz Cruises 2011-2013. After traveling the world with Koz and supporting all the artists onboard, Gregg made a deliberate career move in 2014 to focus more on his solo projects and finally found time to bring 14 new songs to life. With the recent Grammy award and several #1 hit songs to his credit, Karukas has more than fulfilled his childhood dreams; having spent his early years close to the jukebox in his father's roadside tavern in Bowie, MD absorbing the hits of the sixties - from The Beatles to Motown. "I was inspired by the idea that you could touch people's emotions with melodic songs and lyrics that meant something." as Gregg puts it, "My favorite musical term is "Composer". Coming up, my role models were the great composer/keyboardists: Herbie Hancock, Stevie Wonder, Chick Corea, Carole King, Leon Russell, Joni Mitchell, Joe Zawinul, and the recently departed George Duke." Gregg's 11 solo CDs have garnered consistently solid airplay and reviews; and his musical versatility, easygoing nature and professional work ethic is what has kept him in demand as a musical director and keyboardist in the company of the top acts in the Smooth Jazz and R&B pop genres for decades, touring with Boney James, Peter White, Rick Braun, Dave Koz, Melissa Manchester, Larry Carlton, Sergio Mendes, Brenda Russell, Jeffrey Osborne and featured with various Allstar groups in recent years. He has received multiple Best Keyboardist nominations at the Oasis and National Smooth Jazz Awards and his best-known radio hits, "Girl in the Red Dress" (#4) "Nightshift" (#1), and Jessy J. 's #1 hit "Tropical Rain" showcase Gregg's funky, melodic compositional style familiar to his fans. "People say my music sounds romantic and uplifting - and I look so happy on stage," Gregg says. "It's totally true. For me, the best music comes out of an inner feeling of either intense happiness or sadness. I always try to stay faithful to that original inspiration, because that is where the true 'sound of emotion' comes from." As a key player in the emergent LA Smooth Jazz scene, Gregg's late '80's bands and CD's included young undiscovered sax talents Dave Koz, Gary Meek and yes, Boney James, before his breakout Warner Brothers deal. His first major LA sessions were playing synthesizers and bass lines for Rockwell's Motown Gold Album "Somebody's Watching Me", then arranging and playing the theme songs to Disney's Ducktales and Chip and Dale's Rescue Rangers. While doing lots of TV/Film music sessions, (Cheers, Stand and Deliver, Life Goes On, Mr. Wrong) Gregg kept developing his own original contemporary jazz catalog on the LA club scene and The Gregg Karukas Group became the house band for It's Garry Shandling's Show on Showtime. In 1986, Gregg hooked up with Russ Freeman and founded the Rippingtons. When Russ needed a signature, expressive EWI (wind synthesizer) sound for the genre defining Moonlighting CD, Gregg suggested Dave Koz and the rest is Smooth Jazz history. When Dave began his own Dave Koz and Friends at Sea Cruise in 2011, he asked Gregg to be Musical Director and together they established what has become one of the ultimate "destination concert" events. Gregg honed his multi-keyboard, synth programming, songwriting and album production skills in the studios and clubs of Washington, DC, paying dues thru the late -70's with Jazz/Fusion groups Tim Eyermann and East Coast Offering and Natural Bridge. His solo career began in LA with the Nightowl CD in 1987 and thru 11 CDs he has stayed true to his "no covers" policy. Gregg's uplifting attitude shows in his concerts, as he has emerged over the years as one of the genre's most dynamic and inspiring live performers since he took the stage in 1987 with the original Rippingtons at the very first Jazztrax Catalina Jazz Festival. Most recently, Gregg has taken his ever present smile and energetic, show around the world to Java Jazz in Jakarta, Manila and The Mallorca (Spain) Smooth jazz festival. Trivia: Gregg's very first LP session was for naturalist/author Euell Gibbons, adding background Moog Synthesizer textures along with Tim Eyermann's echoing woodwinds for Gibbons' readings of the work of Henry David Thoreau, a collector's item that can occasionally be found on eBay. More trivia: Gregg lost the tip of his right middle finger at age 12 and kept practicing piano with 4 fingers for the next 2 years until it healed enough to take the impact. Triviana: The only time the music of the Jazzmasters & Paul Hardcastle was performed live was a short US tour in 2009 featuring Gregg as keyboardist and Musical Director. Paul Hardcastle, who has never performed live, was not involved. October 5 Durham, NC Vrroom VIP Jazz Fest. August 12 Detroit ( Monroe), MI River Rasin Jazz Fest. Grooves at the Westin Always a great time at the desert. Great outdoor venue. Sept 2 Pensacola, FL Gulf Coast Summer Jazz Fest.